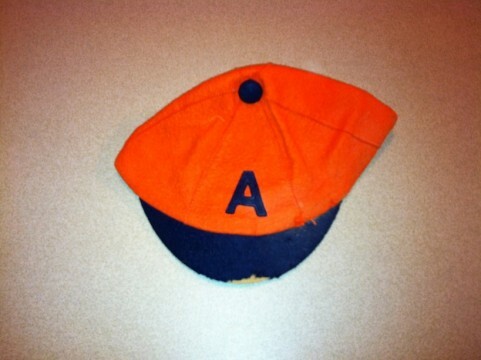 “This is my dad’s old rat cap from fall of 1955. 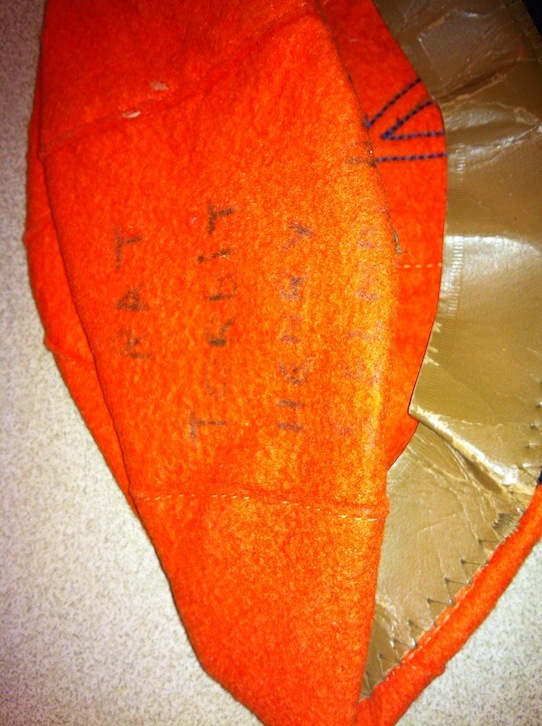 Fraternity pledges had to wear these at all times or there were consequences. Despite the headgear that you were required to wear in order to get into a fraternity back then, the mid-50’s were a good time to be an Auburn student from a football fan perspective. Pledges would be able to tip their rat caps to the 1955 team that finished in the top 10 with an 8-1-1 regular season record that included a 26-0 blanking of the hated Tide. Of course, being a freshman in 1955 also meant you got to be a student during the 1957 national championship season. Pretty good time to be on the Plains. Speaking of 1955, that year will always remind me of Back to the Future, as it is the year Marty McFly traveled back to in his DeLorean time machine. 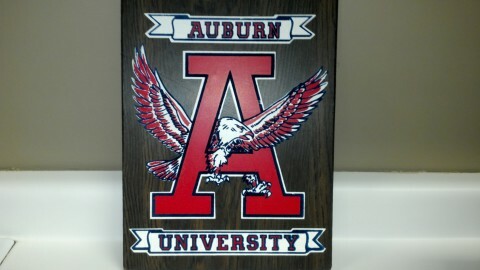 It’s nice to know he went back to a time when Auburn was really good at football. Speaking of which, does anyone have a DeLorean time machine they’re not using at the moment? 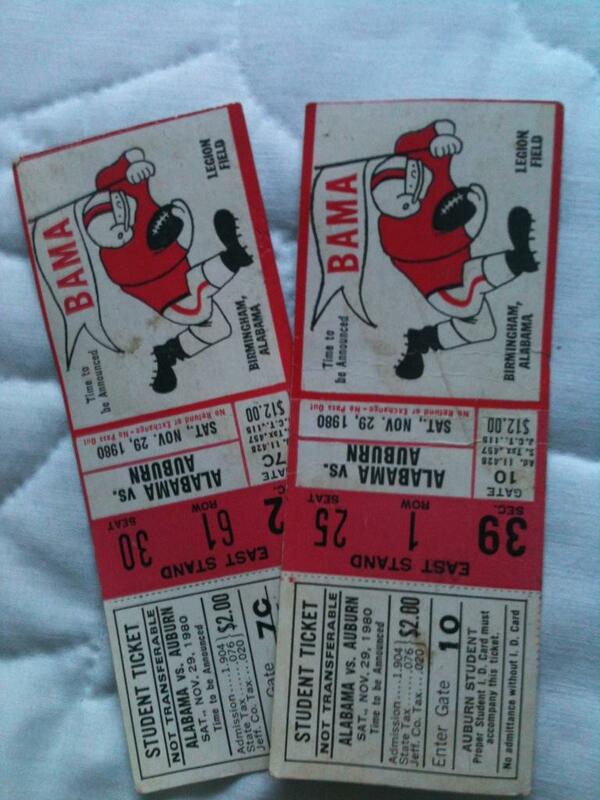 Students were only charged $2 to see Doug Barfield’s last game as Auburn’s head coach, a 34-18 loss to Alabama. How much will students have to pay to see this year’s Iron Bowl, which could similarly mark the end for Gene Chizik? 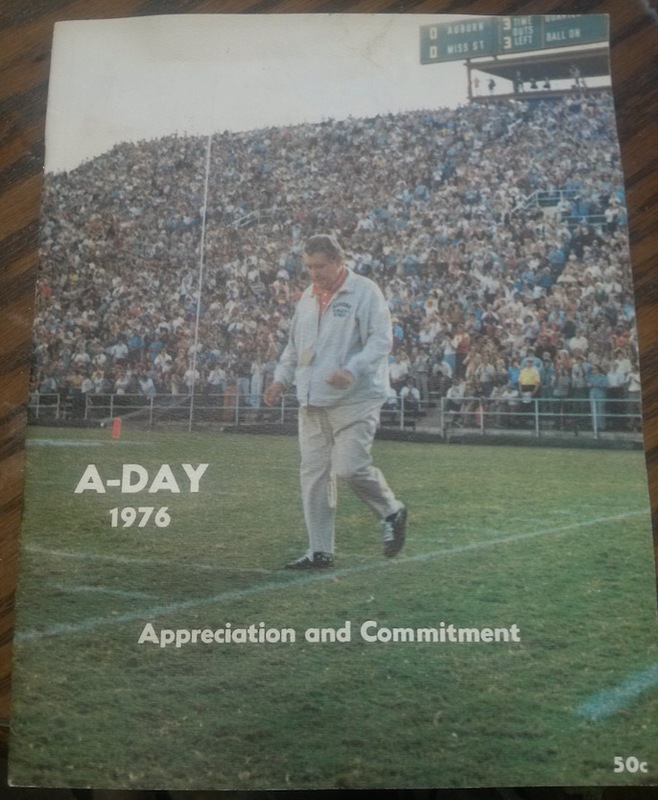 The spring after finishing his storied Auburn career, Shug was honored on the cover of the A-Day program. That was over 36 years ago, and he is still the last Auburn coach to leave on his own terms. Even better than this plaque featuring my favorite alternate logo is the story behind it. It gives me hope that maybe one day my son will grow up and find some classic relic from my college days at a yard sale. Future me is already tearing up. 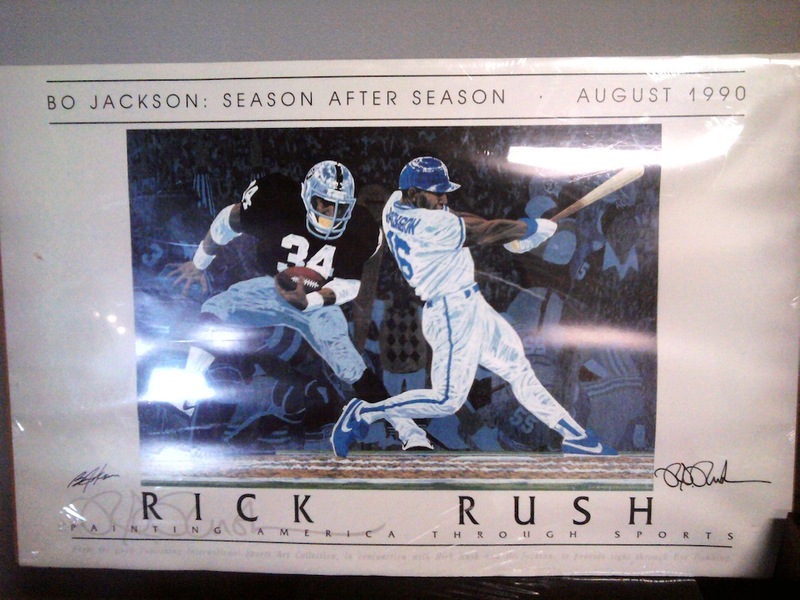 Another nice piece from a time when Bo Jackson ruled the entire sports world. You simply couldn’t escape Bo back in 1990, but I’m not sure why you would want to anyway. The autographs are a nice touch, and the fact it was scooped up at a yard sale is a bonus. With Christmas right around the corner, many of you will begin pulling out all of your decorations in the days and weeks ahead. 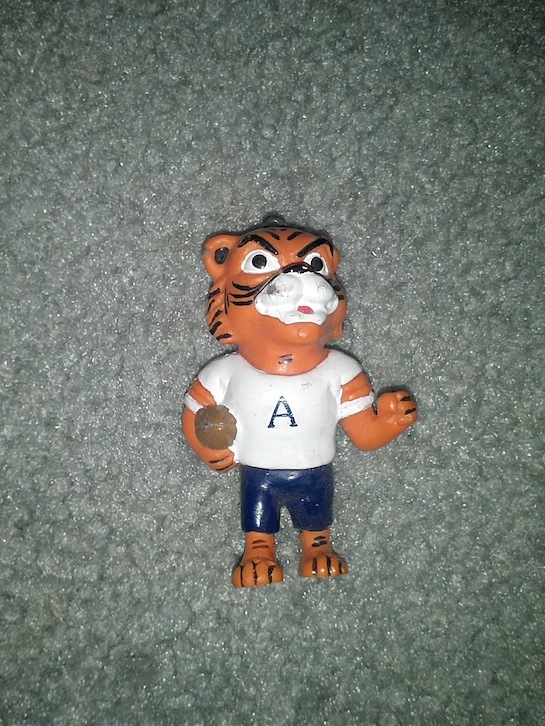 I’m sure many of you will have an Auburn ornament or two hanging from the tree, maybe something like this classic Aubie. 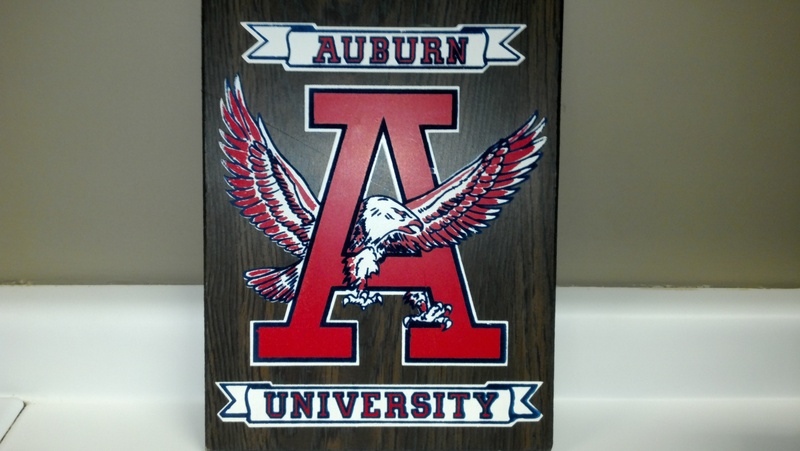 If you do have any Auburn related Christmas items, I’d love to see them and maybe use them for a special holiday themed Relics. Ornaments, Santa Aubies, whatever. The more unusual, the better. Just snap a pic and send it to [email protected]. Thanks as always to our contributors this week. Feel free to check out previous posts here. I hope everyone has a great Thanksgiving this year. To those of you from mixed families who have to suffer through Bama trash talk while you try to enjoy your turkey, you have my deepest sympathies. Related: The Bo Jackson of Bo Jackson collections.